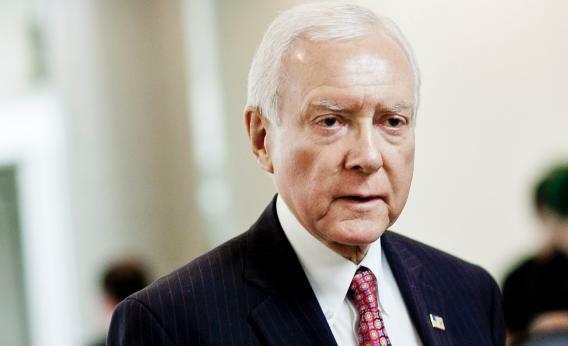 Did you think that Sen. Orrin Hatch could lose his primary? Come on – why? Hatch had to face voters yesterday because he barley, skin-of-teeth failed to win 60 percent of the vote at the state Republican convention. That was proof of a thriving Tea Party, and at the same time it suggested that Hatch would win. His defeated former colleague, Bob Bennett, had only won 26 percent of the convention vote. So why do I say that the Tea Party won anyway? FreedomWorks and other groups had targeted Hatch since the day Bennett fell. That convention process, which rewards grassroots conservatives, always looked winnable. Hatch realized that. As soon as Bennett’s replacement Mike Lee arrived in the Senate, Hatch discovered that he agreed with Lee on everything. (Lee had won with FreedomWorks support.) The debt limit deal? Against. Eric Holder? He should resign. The EPA? It needed to stop the regulatiory storm. The Balanced Budget Amendment? Well, he’d always been for that. Spooking any Republican is good for the Tea Party. Spooking the ranking member of the Senate Finance Committee was priceless. Hatch found himself opposing Federal Reserve actions designed to stimulate the economy. “The Fed often blurred the distinction between monetary policy and fiscal policy during the financial crisis,” he told Ben Bernanke, “and it is time to move back toward a clearer distinction between the two.” As he said that, he backed Ron Paul’s effort to audit the Fed’s books. I don’t think that last action is particularly right-wing, but it was something the Tea Party – activist and well-funded leadership – demanded. And because this was the GOP’s top Finance guy talking, Democrats were denied partisan cover, which influences the way voters look at any policy. FreedomWorks said as much in its instant response to the election. “The limited-government movement is largely responsible,” wrote political director Russ Walker, “for the 180-degree change in Senator Hatch’s votes and rhetoric over the past two years.” If the conservative base can whip a 36-year incumbent into rectitude, it can whip any of you guys. Meanwhile, also in Utah, Democratic Rep. Jim Matheson is expected to break with his party tomorrow and cast a vote (which Republicans probably don’t even need) to hold Eric Holder in contempt. The left, like we needed a reminder, doesn’t matter to Democrats like the Tea Party matters to Republicans. That said, the Tea Party’s Leninist long-term win here reminds you of the way Occupiers say they changed politics. They didn’t beat anyone at the polls. They changed the conversation. It reminds me of the odd week in 2002 when George W. Bush flubbed and suggested that Iraq scrapping its weapons would be proof that the “regime had changed” without an invasion. He didn’t really mean that.